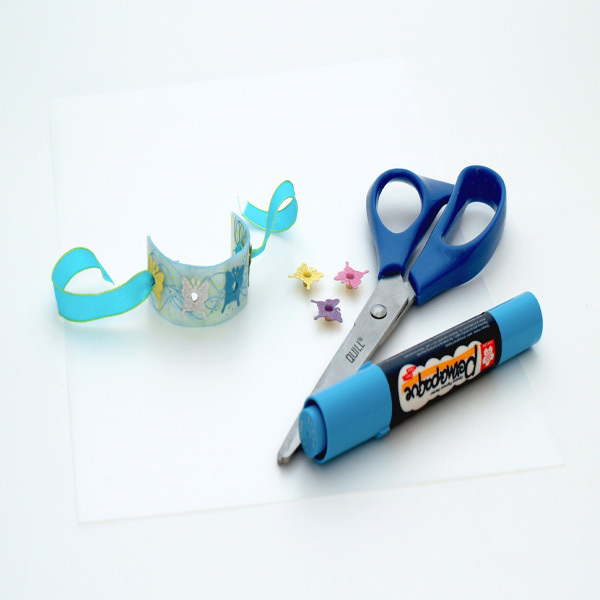 Project Description: Create personalized ID bracelets, or make a shrink film necklace to go with your bracelet! Create a random swirling pattern on your shrink film. You can also choose to draw flowers, circles, stars or anything you can dream up! Cut a 2” x 8” section of film. Be sure it has your design from edge to edge. Place your eyelets where you’d like them and use your eyelet setter to attach. Shrink your bracelet according to the directions. When the bracelet has shrunk, VERY CAREFULLY remove it from the oven. While wearing an oven mitt, shape the bracelet into a crescent shape. When the film has cooled, thread ribbons through the eyelets at the end of your bracelet. Use the ribbons to secure the bracelet to your wrist.